Evidence suggests that cannabis could potentially slow the progression of Parkinson’s by providing neuroprotective effects. The cannabinoids found in cannabis are able to suppress the excitotoxicity, glial activation and oxidative injury that cause the degeneration of the dopamine-releasing neurons. In addition, they improve the function of cell’s mitochondria and activation of cellular debris clearance, further encouraging neuron health 6,7,9,16. Researchers have found evidence that one specific cannabinoid found in cannabis, tetrahydrocannabinol (THC), helps with the treatment of Parkinson’s disease by assisting in the prevention of damage caused by free radicals and activating a receptor that encourages the formation of new mitochondria16. Another major cannabinoid found in cannabis, cannabidiol (CBD), has also demonstrated its ability to support the health of neural cells mitochondria, causing the researchers to conclude that CBD should be considered as a potential therapeutic option in neurodegenerative disorders like Parkinson’s because of its neuroprotective properties3,4. Research also shows that cannabis can help patients with Parkinson’s disease manage their symptoms. One study observed that after smoking cannabis, Parkinson’s disease patients saw significant improvements in motor disability and impairments, tremors, rigidity, bradykinesia, sleep, and pain 8. Additional studies have confirmed cannabis’ ability to reduce bradykinesia and tremors6,7. Most recently, a clinical trial found that cannabis significantly reduced pain and motor symptoms in Parkinson’s disease patients after 30 minutes11. Significant improvements in well-being and quality of life scores were found in Parkinson’s disease patients that were given daily doses of CBD for one week1. One case study found that patients treated with CBD, though they didn’t see significant improvements in motor measures or general symptoms, experienced prompt and substantial reductions in the frequency of REM sleep behavior disorder events1. In one survey, despite only 4.3% of Parkinson’s disease patients responding that they used cannabis to treat their symptoms, it was ranked it as the most effective treatment option out of vitamins, prayer, massage, art therapy, music therapy and relaxation5. An anonymous questionnaire sent to patients with Parkinson’s disease found that 25 percent of 339 respondent’s had taken cannabis, with 45.9 percent of those reporting some type of benefit 14. In addition, CBD may help with those Parkinson’s’ disease patients experiencing psychosis. 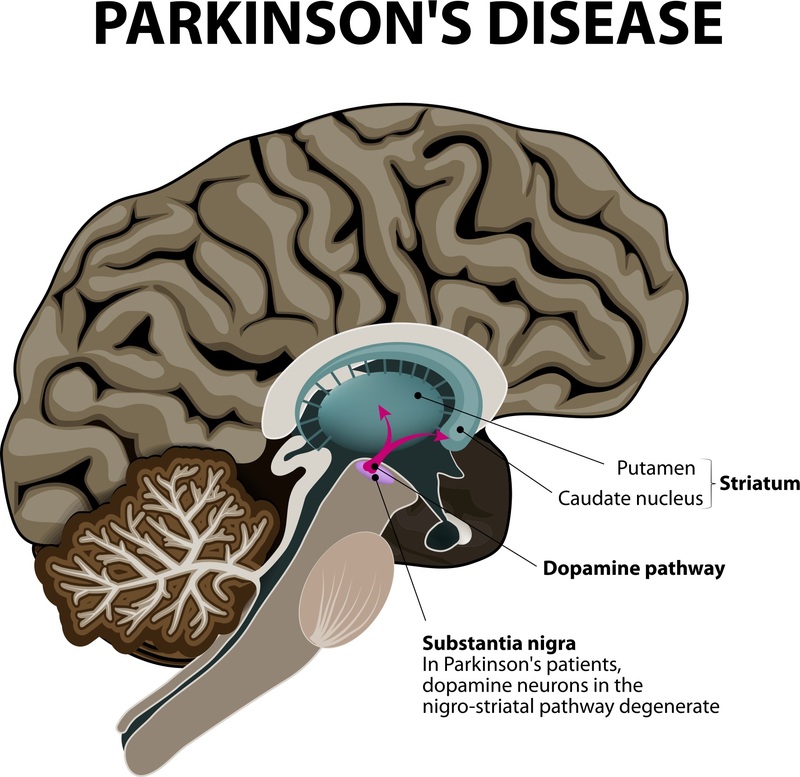 Four weeks of CBD caused Parkinson’s disease patients with psychosis to experience a significant decrease in psychotic symptoms as evaluated by the Brief Psychiatric Rating Scale and the Parkinson Psychosis Questionnaire17. Previous post: Why Are Cannabinoid Receptors Important? Next post: Study Shows Nearly half of CBD users stop taking traditional meds!! !